Welcome to our comprehensive general, cosmetic and reconstructive dental practice. Drs. Heilbut, Radin, and Cho believe that every person is different and personalize every treatment for each individual. An ideal treatment plan starts with excellent diagnostics and Drs. Heilbut, Radin, and Cho have over 80 years of combined experience with an enormous commitment to continuing education from the leading minds in dentistry. We strive to guide patients to optimal dental health by using the most proven exciting new technologies and techniques. Our practice caters to patients who value excellent care delivered gently and professionally. We treat you how we want to be treated and are there when you need us, always reachable. Some of our commitments to leading-edge dentistry include our in-house lab, digital radiographs, electronically delivered local anesthesia, non-invasive cancer screening, digital impressions, computer generated cosmetic imaging and laser dentistry when appropriate. 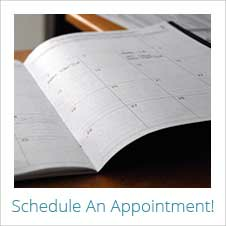 We look forward to showing you our comprehensive, quality-driven approach to dentistry.